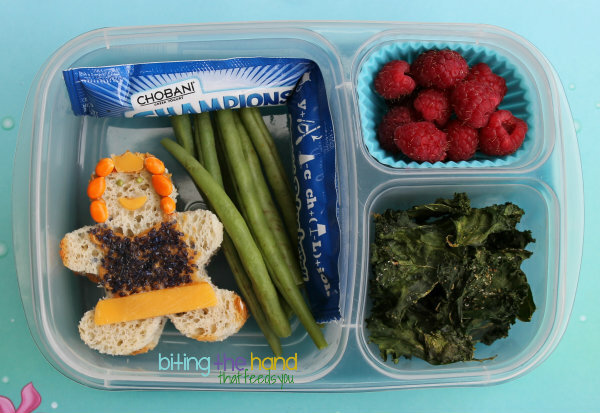 Thursday, 4/18/13 - I made this lunch for Little Z with no plan in mind. It just kind of evolved as it went. 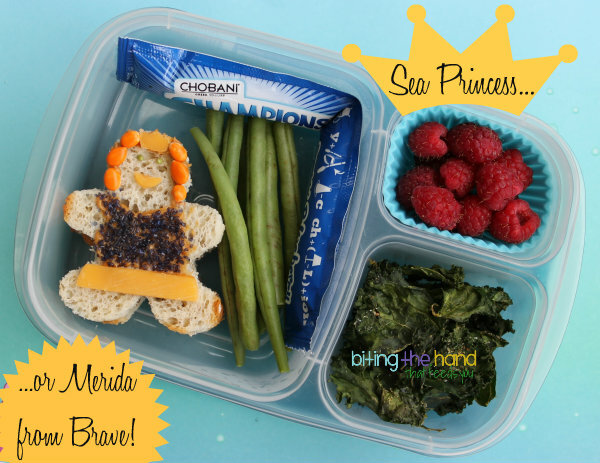 Since I had the green "seaweed" kale chips and green beans, I decided to make a sea princess. Not a mermaid though. Too much work. This was a fast one! I even made sure to grab a blueberry Chobani tube, for "water." I made a crown and skirt out of cheddar with cutters from a dress-up-bunny rice mold set. I'm not sure what cutter I used for the mouth, but probably something from my face cutter set. 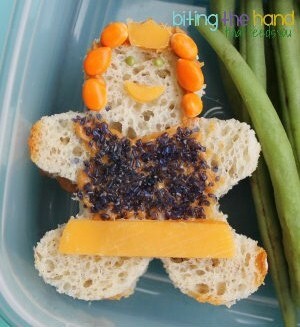 I used peanut butter to glue everything on (cheese and PB actually taste better together than you'd think!) and "painted" on a shirt to cover with India Tree Nature's Colors blue sanding sugar. I can see it. Either way, I'm glad she liked it! I love your sea princess!